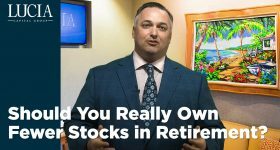 First, they didn’t expect a sudden loss of 25% or more of the total value of their savings due to a fall in the stock market… 14% of retirees reported that this had happened to them. A 25% drop in the value of your savings can really hurt, especially if you’re taking money out of that portfolio on a regular basis. This is why we suggest that you set aside a portion of non-volatile money to meet your income needs. By doing so, you may be able to potentially protect yourself from those inevitable market drops. This is part of what we call The Bucket Strategy®. Another issue they reported was running out of assets. I said earlier: You want to out-live your money, not the other way around, yet 15 percent of retirees said this was something they encountered. Once again, proper planning is what’s required here. This is a situation where a strategy that includes some form of guaranteed lifetime income may provide some potential benefits. I’m talking about income that you receive regardless of what the market conditions may be like at the time. 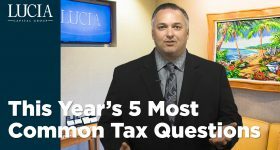 Having these guarantees may not only give you peace of mind, but they may also take some of the pressure off of the rest of your portfolio. Here’s another expense that many people don’t anticipate during their accumulation years… an illness or disability that limits your ability to care for yourself. You might ask why this would be an unanticipated expense, especially when we know we’re getting older? It could be because when people are younger, they don’t often have many health concerns. But of course, youth doesn’t last forever, and of those who were retired, 15% responded that an illness or disability cut into their retirement savings. This is why it might be smart to have something in place that could help cover some, or all, of those health-related expenses. If you haven’t seen my video on our Care Coverage Plus program that deals with this issue, click here to learn more. These are just a few of the expenses retirees never saw coming, and there are potentially many more. Of course, not everything can be planned for… unanticipated events are a part of life. But with proper planning and the right strategy, you may be better prepared for the unexpected.